With all this (wonderful) focus on making others feel special, how about some self-love this Valentine’s Day? In fact, why don’t we make that more of a priority year-round? The moments I’ve scheduled “just for me” have made me a better mom, and a better person. Those moments of reflection, having some time to just “be” without obsessing over to-do’s and the craziness of life, are golden! (I will admit to occasionally using “me time” to get caught up on lists or research about something related to parenting, but it makes me happy to spend “me time” doing that.) I also believe we’re setting a good example to our children by taking care of ourselves. Those little sponges take in more than we likely realize! I get that Self-Love looks different for everyone, but for me it’s going to a hot yoga class, getting a massage, or taking a nice long bubble bath while reading a book (or, let’s be honest, scrolling through my phone). Sometimes it’s with tea, sometimes it’s with wine! I make sure to enter this time into my calendar just like an appointment, and stick to it. Here are some of the special things that help to make my Self-Love time magical! Bath Tray: I’d been searching for years for the perfect tray for our tub. Somehow, my dad knew (I may have mentioned something), and made this one for me for Christmas! My dad is a very talented stained glass and woodwork artist. He does custom work, so if you would like to order one, message me and I’ll put you in touch! Lollia Bubble Bath: Ryan gifted me this glorious glass bottle of bubbles for Christmas this year. and it’s total luxury (including the price). I choose “all-natural, organic, free-of-everything, not-insulting-anyone products” most of the time, but I make exceptions when necessary. This is one of those exceptions, and trust me – totally worth it. It’s pricey BUT a little goes along way. 20-or-so baths in, and my bottle looks barely used. Get it here or here. 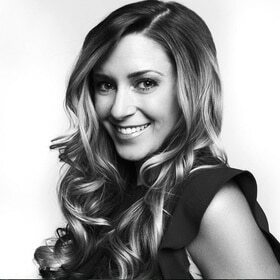 If you’re in Edmonton, you can also get it in-store at Lux Beauty Boutique. I also love the Lollia hand cream. 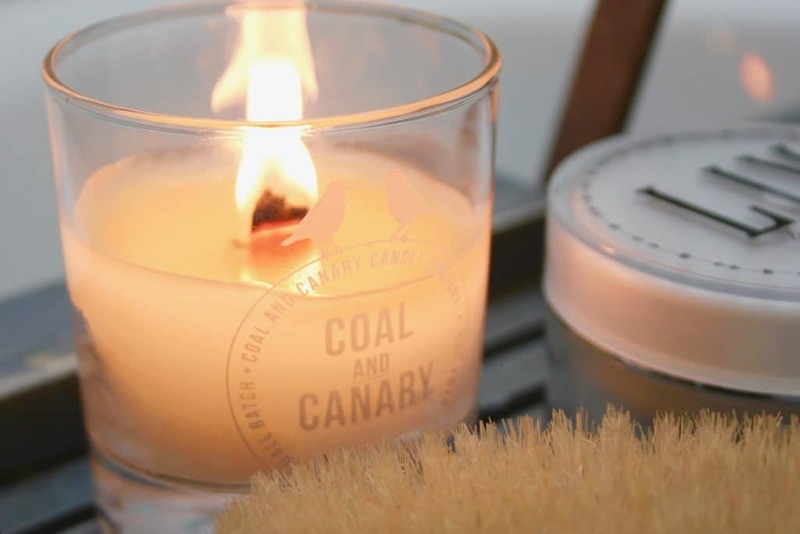 Coal and Canary Candles: I’m a big fan of this candle line, not only because they’re made in my former home town of Winnipeg, but because I adore the crackle of the wooden wick as it burns. Also, these hand-poured soy candles were included in the Oscars and Grammys swag bags back in 2015. (So, basically George Clooney could be enjoying the same candle as us, at the same time!) 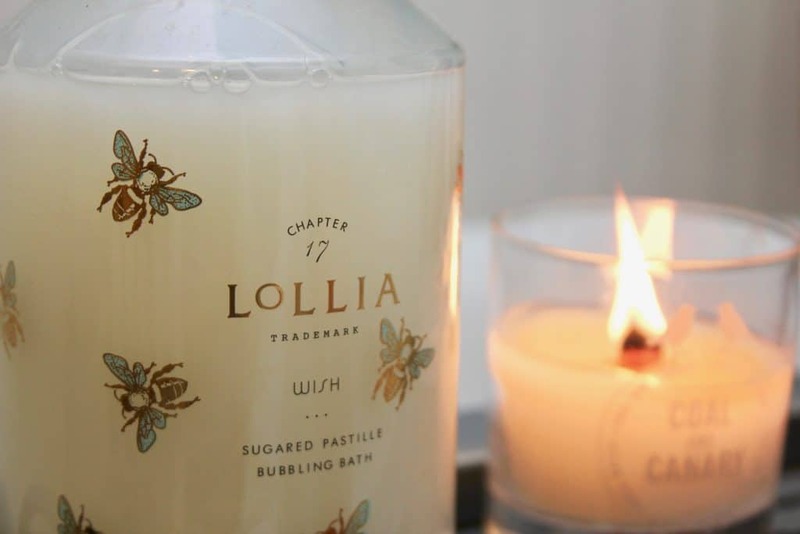 Shop these candles online here. Locals – you can pick these up at Miss Boss Boutique. 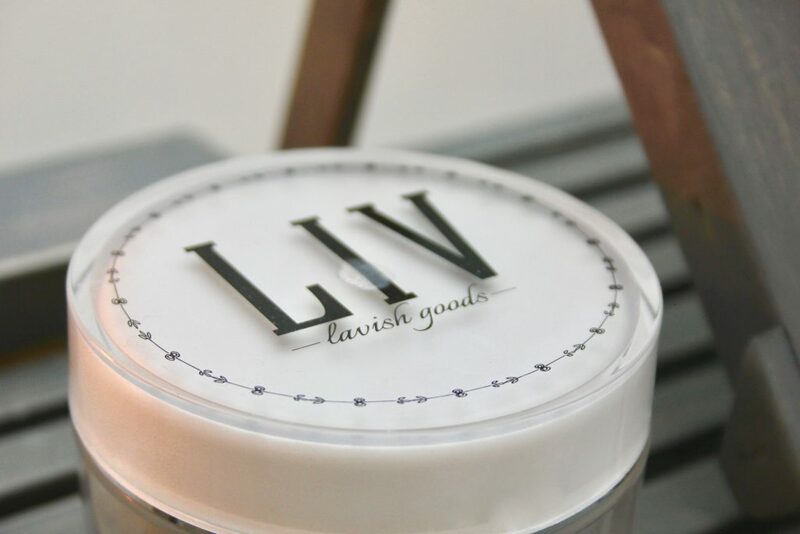 Liv Lavish Scrub: I connected with this Canadian company via Instagram, and I’m SO glad I did. Their Peppermint Mocha Coffee Body Scrub is amazing! I’ve used coffee scrubs in the past, but this one is minty, leaving your skin feeling so refreshed. Bonus: coffee scrubs help with cellulite. Shop online here. 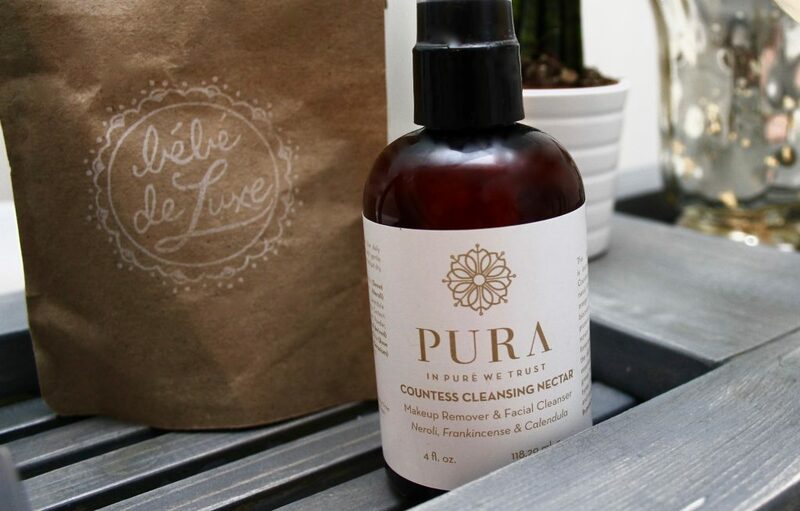 Pura Botanicals Countess Cleansing Nectar: You’ve read about my love for this Edmonton-based luxury eco-line many times, and I’m sharing again because it’s THAT good. Like the rest of their products, this cleanser smells amazing and is healthy for your skin. I bought mine a year ago and I still have a quarter-bottle left! Shop here. Bebe de Luxe Bath Soak: Sometimes I skip the bubbles and just do a soak, or I add a soak with the bubbles. 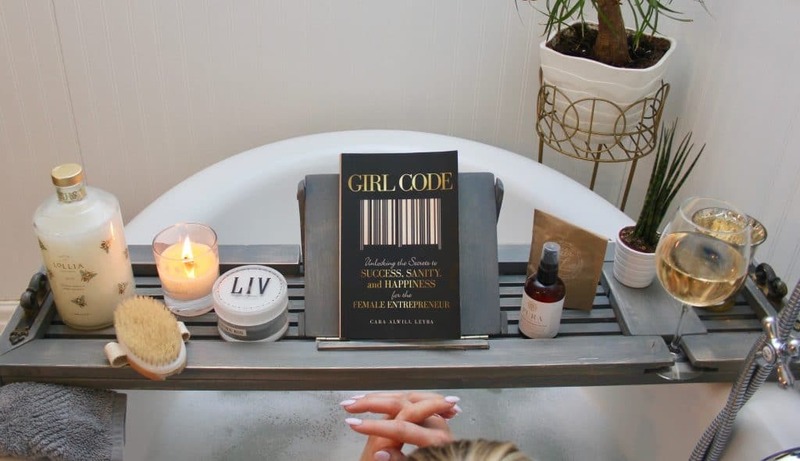 I came across this organic coconut and oat milk bath on Instagram. It’s really lovely. The company has switched its name to So Luxury, but this product is still the same. Shop here. Eminence Oil: I’ve used this line for years. They have so much variety, and their products smell great! 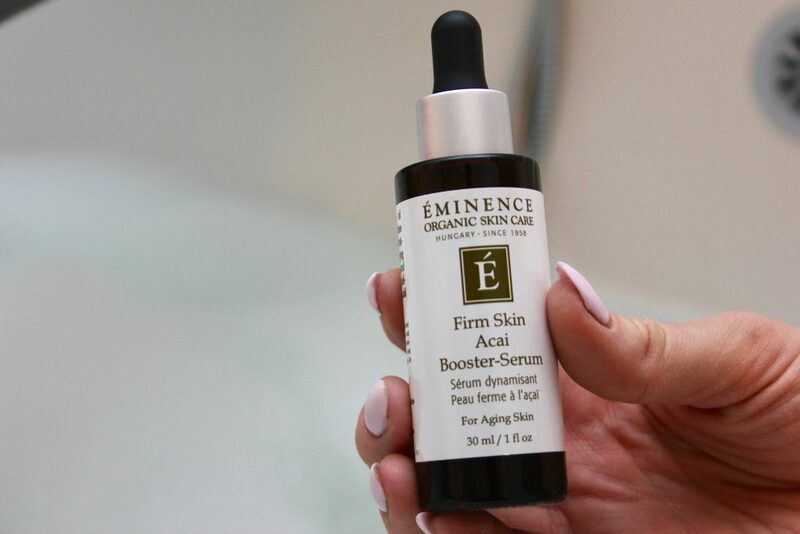 I’ve noticed more glow in my skin from using the Firm Skin Acai Booster Serum. I have a few different serums that I rotate. 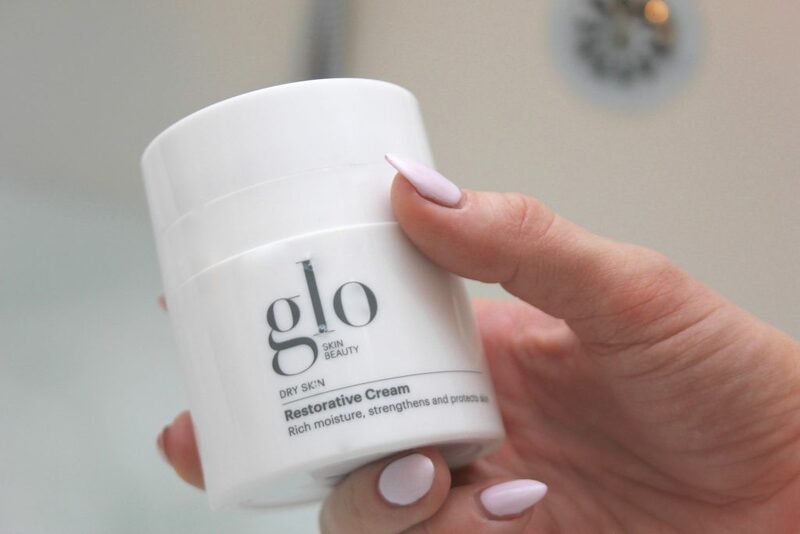 Glo Cream: I was introduced to this line while receiving a few treatments at Lipstick Empire LaserSpa in my hometown of Edmonton. This Restorative Cream smells like exactly like Fruit Gushers! I get excited to put this on everyday just for that smell. Shop it here. Locals -you can also pick this up in-store at Lipstick Empire. 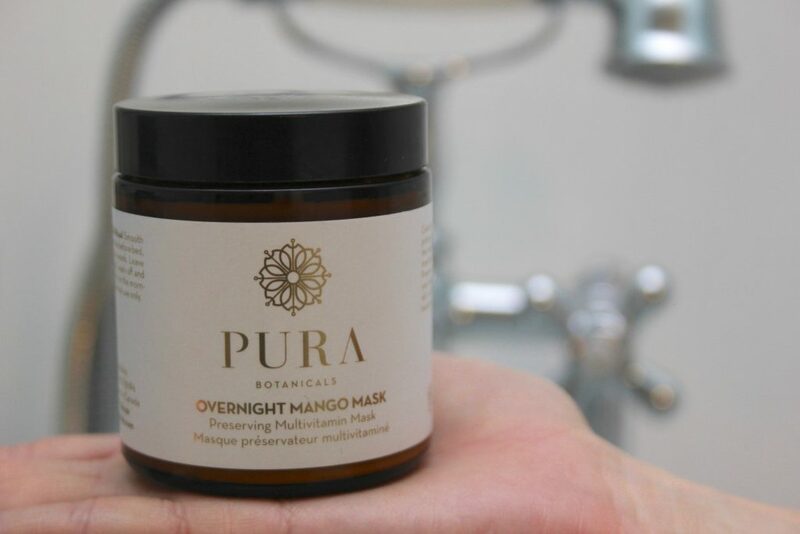 Pura Botanicals Overnight Mango Mask: This is a must-have for dry Alberta winters! Lather on before bed, and your skin will thank you. I sometimes use this as a cream if our weather conditions are extra dry. They also make this in Watermelon (I still can’t decide which is my favourite). Buy it here. Heat Bag: My sister-in-law makes these, and gave me one for Christmas. 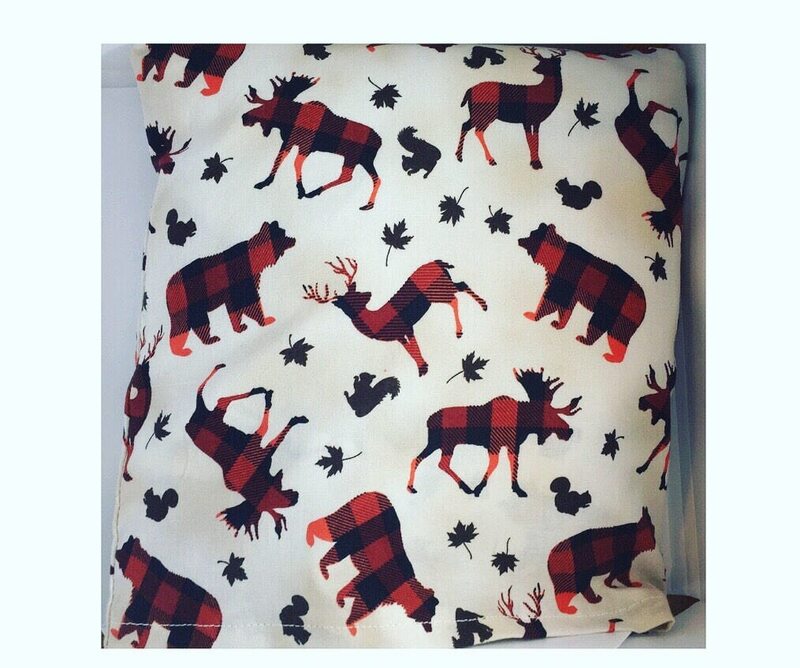 This comfort bag filled with flax seed can be used hot or cold, and has a removable washable cover. I warm mine up in the microwave for a few minutes (almost every night) before I crawl into bed. 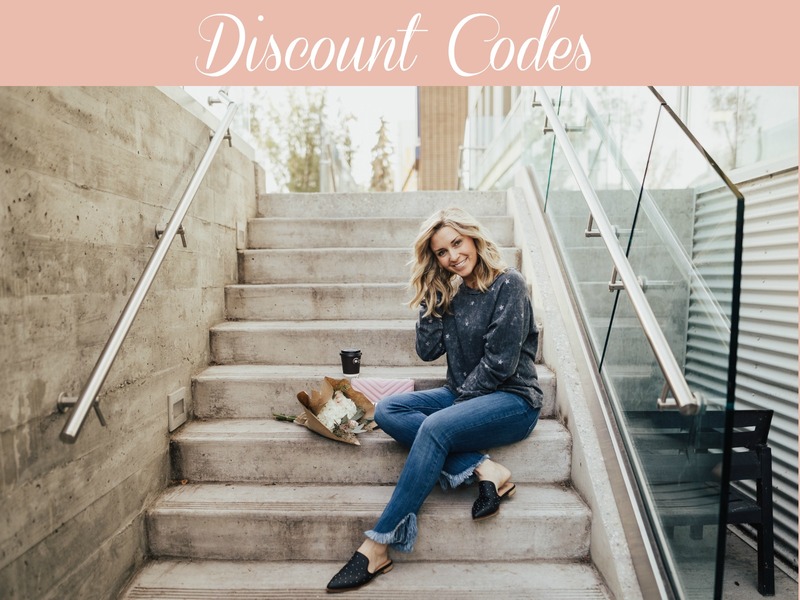 Shop here! 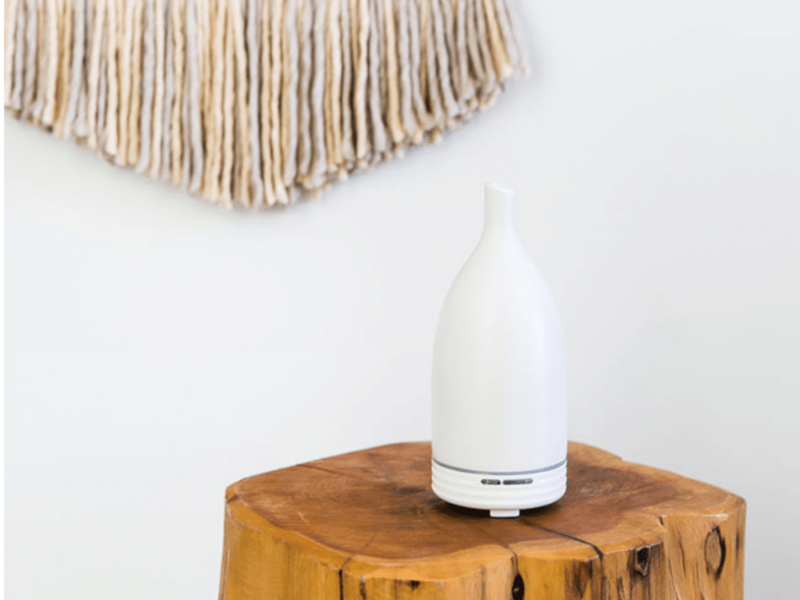 Essential Oil Diffuser: We quit using those (toxic) room sprays years ago and this has been a perfect replacement. Not only does this essential oil diffuser cleanse and purify the air, but it makes your home smell so incredible! I have this one by my bed and use lavender essential oil to help me drift off. How do you like to treat yourself? Comment below. I would love to know!